For by Grace you have been saved . . .
Because Of The Favor Of The LORD! The day is coming when you will realize that in spite of all the struggles, all the attacks against your peace, all the thoughts that were bombarding your sense of self-worth, all the times you tried to overcome the negativity in your life according to your own means of dealing with it, the favor of The LORD never left you. The fact that you are saved by His grace has afforded you the right to come out from under it all. 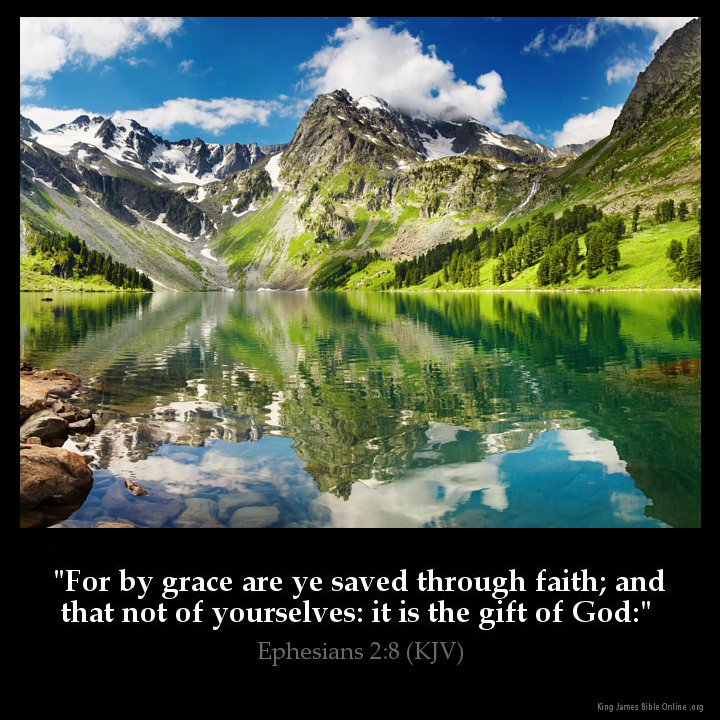 It is by grace that you have been saved, not of works; it is a gift from God. Especially since the Blood of Jesus that was shed on the Cross was accomplished long before you ever knew Him? Your mourning over your self-esteem and you self-worth are coming to an end because the just shall live by their faith. Now faith is the assurance of things hoped for. It is the evidence of things not seen. Jesus is the assurance of things hoped for; He is the evidence, by the indwelling of The Holy Spirit, of things not seen. For the eye has not seen, nor the ear heard, nor has it entered into the heart of man the things that God has in store for those who love Him. But God reveals these things to those who love Him by His Spirit, yes, even the deep things of God. Jesus promised this to you and I when He said, “Everything that the Father has is Mine. And the Holy Spirit, Whom the Father will send in My Name, He will take from Mine and show it unto you.”. Therefore, humble yourself in the sight of The LORD and He will lift you up. The Word of The LORD is sent to you because of the favor of God in your life. “I beseech you therefore brethren that you present your bodies as a living sacrifice, holy and acceptable to God, which will be your worship.